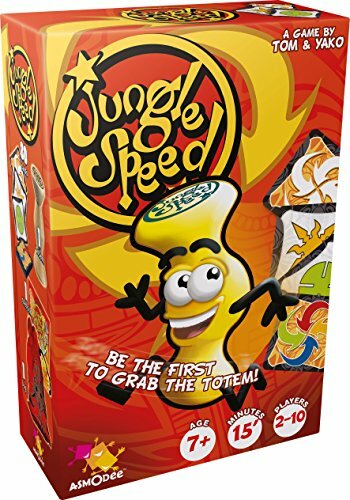 Think fast with Jungle Speed! Are you sharp-eyed and swift? 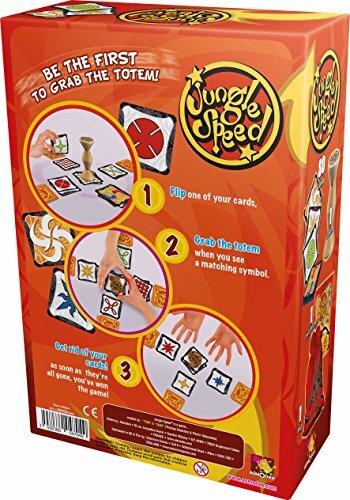 Watch carefully as the other players turn over their cardsspot those who have the same symbol as youand grab the totem as fast as you can! 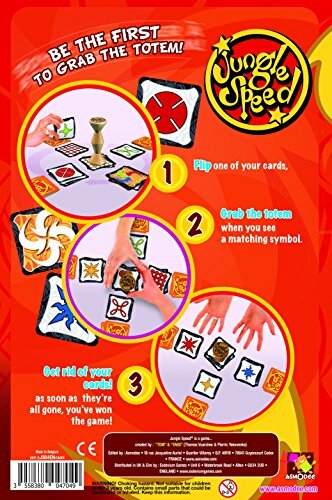 Get rid of your cards to win! 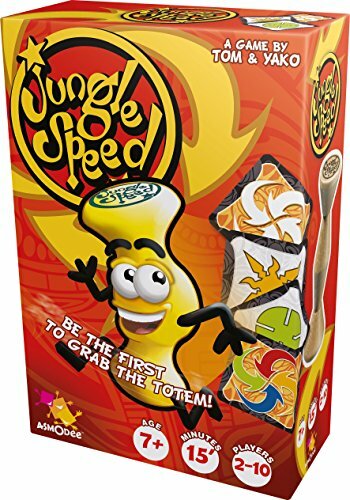 Jungle Speed is a fun family game full of quick thinking.